Serious skiers eschew the West’s other ski slopes and come directly to Vail, which offers acres of trails that are typically blessed with soft, powdery snow well into spring. Built to resemble a Bavarian village, it is the world’s largest single-mountain ski resort. Known for having vast and varied terrain for every skill level of skier or snowboarder, Vail often tops ski resort lists and gets rave reviews for its legendary snow. Summer has also emerged as a prime recreation season on Vail Mountain, with mountain biking being the sport of choice. It doesn’t matter which season you choose to visit these resort towns; there’s plenty of action on and off the slopes all year round. 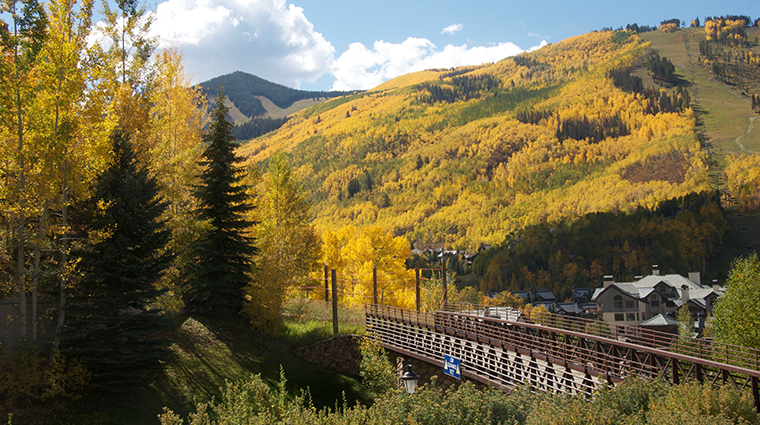 Nearby Beaver Creek offers a family-friendly atmosphere and sometimes less-crowded slopes, making it a good alternative when you’ve skied all there is to ski at Vail.